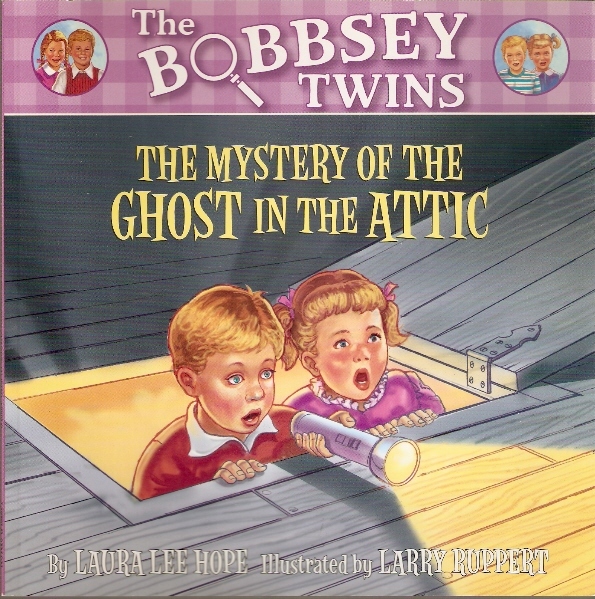 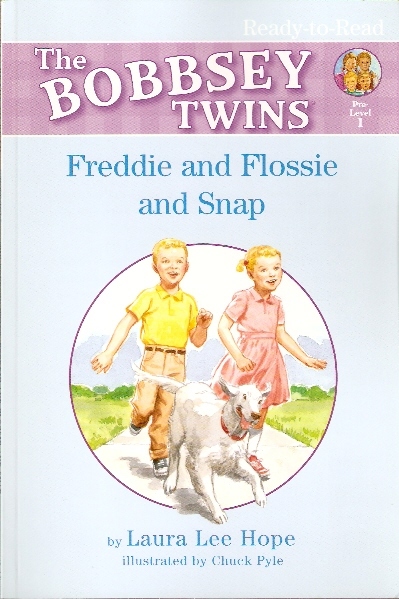 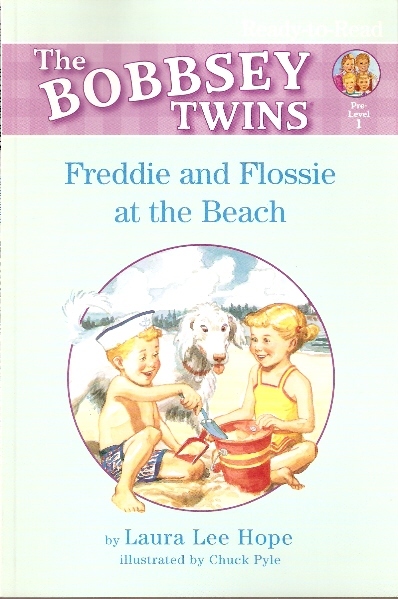 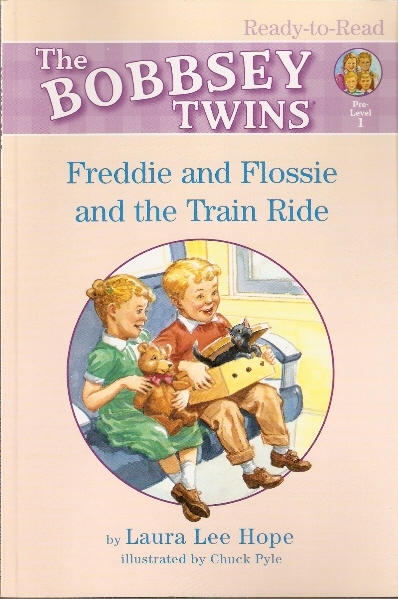 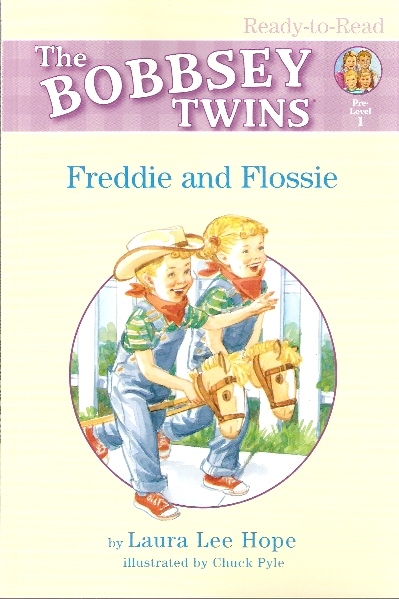 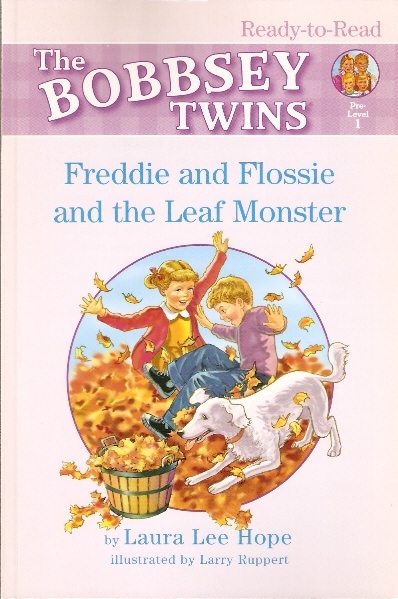 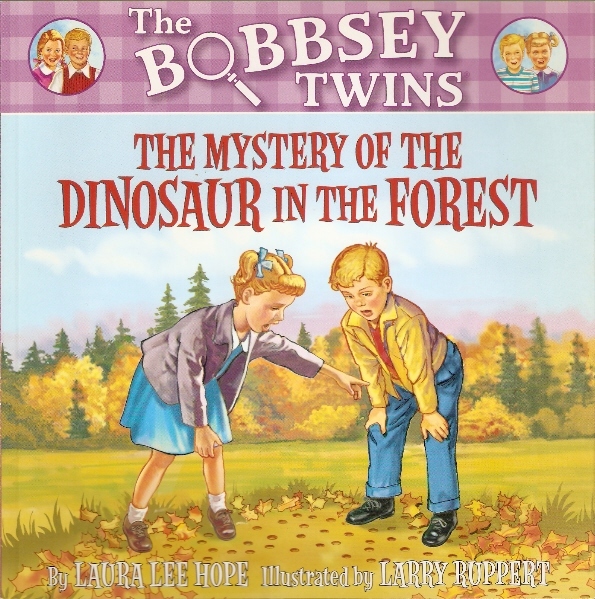 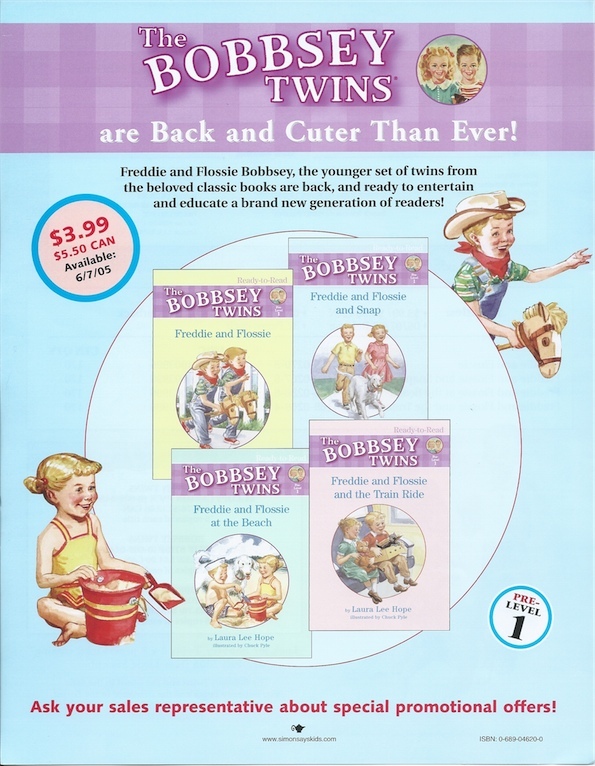 Around 2005, Simon and Schuster released a new series of Bobbsey Twins books, which center only around Flossie and Freddie. 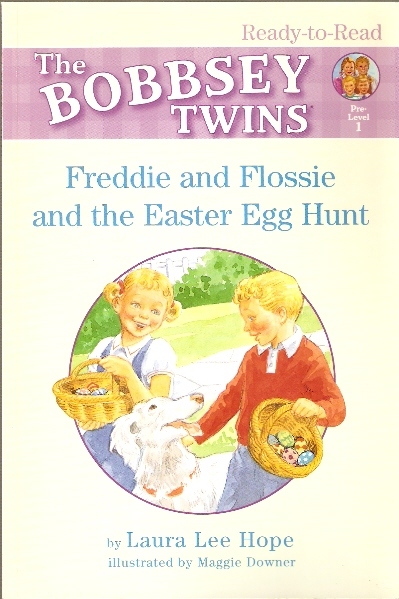 They were released without volume numbers, but Jim McNamara (who provided all the scans here) numbered them as they came out, and those are the numbers seen below. 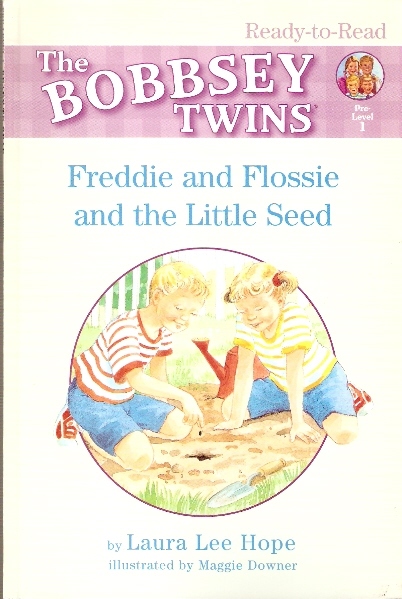 The last two were issued in a different format for some reason. Front side of promotional brochure. 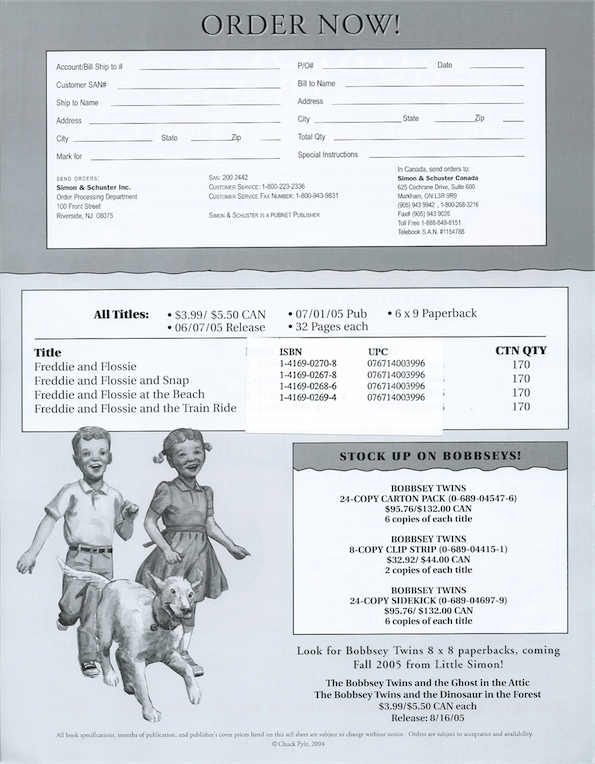 Back side of promotional brochure.